I am so ready for Fall! I know it is officially Fall, according to the calendar, but it is in the 90’s here and it’s only 5:00 AM. OK, not Fall in my world, lol. However, with the holidays almost upon us I find I never have enough Thank You cards and this sheet of wood veneer has been calling to me for a while; so I have been making a few Thank You cards to have on hand. 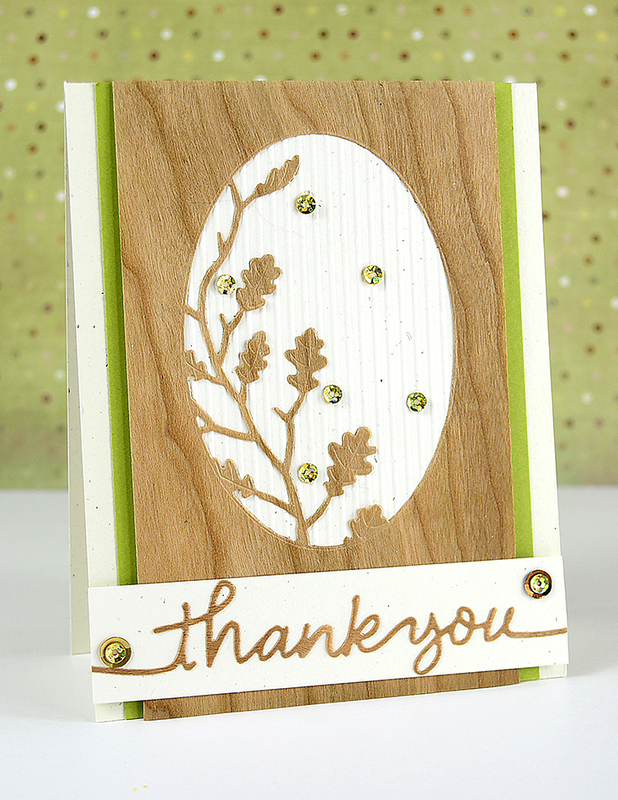 I used Poppystamps Oak Leaf Oval Collage and Thank You Streamer dies to cut the wood veneer sheet. The dies cut through the wood like butter, seriously! Best part, the wood veneer I used is adhesive backed, woo hoo! 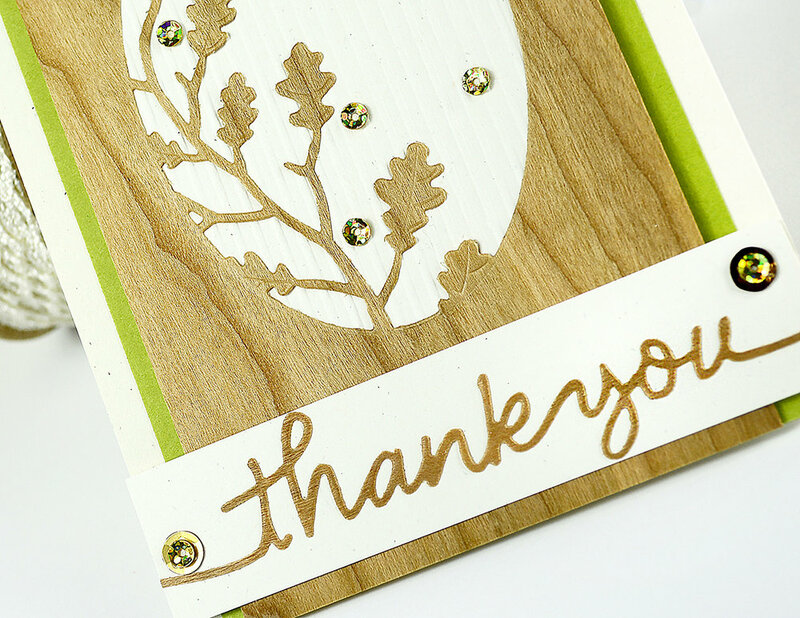 I you don’t have wood veneer I think this card would look great using a brown cardstock! I finished my card with sequins from Poppystamps called Not So Heavy Metal; this pack of sequins and glitter is perfect for a Fall shaker card! 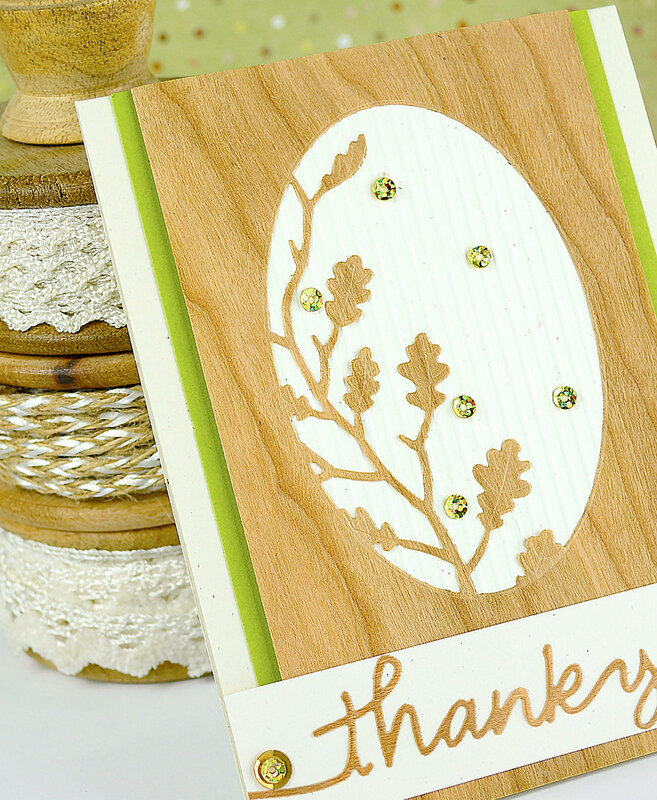 The following video shows how easy it is to make this card using wood veneer sheets! The oatmeal cardstock is from Wplus9 not Gina K.
I hope this post will inspire you to try using different materials on your projects!